Everywhere you look, you find ways to lose weight: a new diet, some miracle exercise equipment claiming to make you a smaller person. But what if you want to be larger than life, bigger than average? What if you want to eat all your favorite foods all the time and you don't want to exercise? 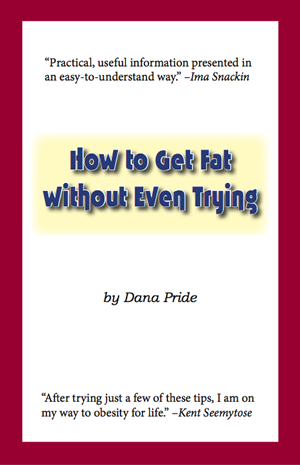 This is a non-fiction book that gives great strategies for putting on fat, adding weight, getting larger without even trying. Simple, easy-to-understand steps can lead a person to obesity for life in this user-friendly manual.